Dressage anyone? Stylishly dressed in casual English riding attire and ready to ride her colourful Pinto Sporthorse for a fun lesson. 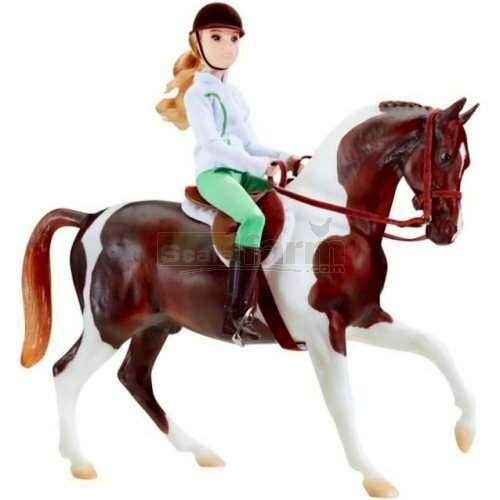 Set includes spotted Pinto Sport horse, English saddle set with bridle, 20 cm tall articulated rider dressed in casual riding attire, plus colour poster filled with facts about English riding.